We like to know how we can improve our service to you and how you perceive our surgery and staff. To help us with this, we have a patient participation group (PPG). We ask the members of this representative group some questions from time to time, such as what you think about our opening times or the quality of the care or service you received. We will contact you via email so it will not take too much of your time. If you would like to join our Patient Participation Group please complete and submit our registration form. PPGs are usually run and managed by a group of volunteer patients, who act on behalf of patients in cooperation with the practice team and invite the practice manager and GPs to the meeting. They meet on a regular basis – either face-to-face or virtually through an online forum or email exchanges. Their aim is to discuss the services on offer at the surgery and how improvements can be made for the benefit of patients and the practice. 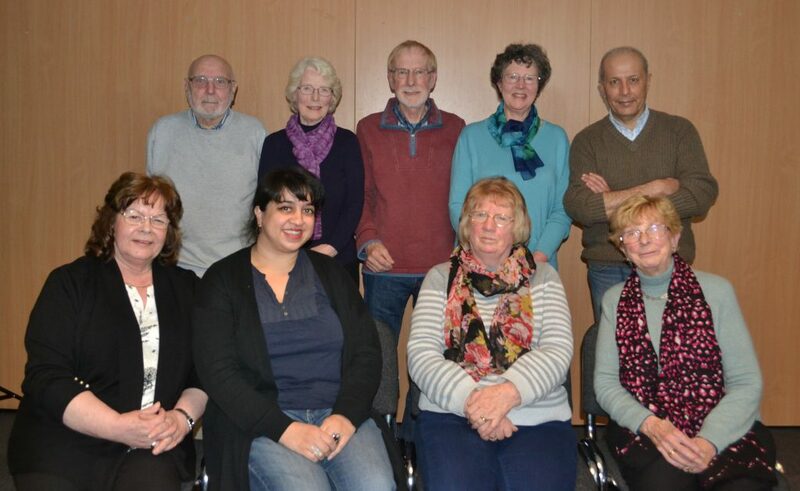 The Birmingham Cross City CCG organised the 2nd Patient Participation Group conference on the 26th of February 2014. This conference was very well attended by a wide range of PPG groups from GP practices from the Birmingham area including Health Professionals. The purpose of the conference was to raise awareness of the roles, functions and benefits of PPG’s and to support and encourage the development of new PPG’s. Also to lay down guidelines and format to which PPG group meetings should follow in order they are run in a professional manner to benefit both patients and the GP practise. One of the agreed criteria is that each PPG group should have an elected Chairperson. This is in order that meetings have an agreed agenda and that the group has a direct link with health professionals at the practice for matters arising from the meetings to be followed up. John Wright is the chairperson of the PPG and he liaises closely with staff at Hall Green to organise PPG Meetings and events. John has been a patient at Hall Green Health since it opened, prior to that at the old Robin Hood Surgery. On retirement because of the first class treatment he had received he felt it was time to help others less fortunate. He joined the National Rheumatoid Arthritis Society (NRAS ) and now runs the Solihull support group to help fellow patients deal with this chronic illness. If you require support, please contact John on 07447 901186. Please see attached the HGH Terms of Reference of the Patient Participation Group. Please note that the PPG will not consider personal medical issues or complaints, as there is already a well-established procedure for dealing with these. If you are happy for us to contact you occasionally by email please fill-in and submit the registration form.